Everything is normal. Nothing will be the same. It feels like we're kind of isolated. Our friends and family around the world showed concern, but today it is back to business as usual. A CNN headline reads "As Russia mourns St Petersburg attack, Europe shows little solidarity." And I think I can finally agree. In the past, I felt that Russians were being too hasty to accuse the West of favoritism and/or bias, mourning one terrorist attack and not another. But I really noticed it this time. I was so sad for London, and many people were. But I do not know anyone in London. And yet, I did not feel that strangers were sad for St. Petersburg. There are probably people who haven't even heard, but that's okay, because I wouldn't pass a news quiz, either. Some headlines tug at my heart more than others. We have to protect our emotions somehow, or we will collapse under the weight of daily tragedies around the world. But it is still interesting to see how we react differently to various news items, simply because they concern different countries or people groups. And we can't really force ourselves to feel compassion, even if we can recognize a situation that deserves it. I scroll through Instagram, but the normal posts are too normal, and the sad posts are too sad. I want both! The condolences are formulaic, yet their absence is worse. Yesterday we had to hold it together, but when we had the chance to sit down and process, the feelings were already buried. Andrei's students hinted at canceling classes today, but as Andrei pointed out, he had to answer to his superiors, who had not given any such order. So Andrei took the other metro line to work. He said that it was a very safe day to travel in the metro, as security measures were high. But rumors said that people had been advised to stay home. There was a lot of information being passed around, and it was frustrating that some of it was untrue. Today was day 1 of three days of mourning. 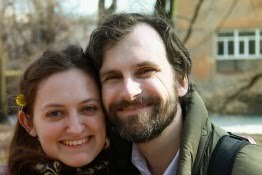 Elizabeth, I stumbled upon your blog through Annie's blog, and thought it was so interesting to see a perspective of an American living in Russia. I am a Russian living in US (since I was 15, so I'm rather Americanized by this point). I wanted to echo your thought on a lack of expressed empathy about the St. Petersburg terrorist attack. The ONLY person who mentioned anything about it to me among my non-Russian acquaintances (and I work in a large American office in NY,have several American roommates and many American friends) is a German boyfriend of my roommate. He first asked me whether I have heard of what happened, and then expressed his belief that Putin planted that bomb. I was frankly speechless- not at the idea itself, but at the fact that he thought that it was appropriate at the moment to tell me that, rather than maybe to say something formulaic about how sorry he was about the attack, or lost lives, or some such, or perhaps expressing hope that none of my friends or relatives in Russia were affected. But I don't think one must take such things personally and I definitely try not to. No, people did not feel empathy or sadness. No, they certainly did not update their Facebook profile pictures with the colors of the flag of affected country, as they did with France. There were no "I pray for St. Petersburg" memes being shared around. But there are reasons for that. First of all, everything I read in the US press nowadays in regards to Russia is written in the tone that clearly implies that we are in the middle of the cold war 2.0 and Russia is the enemy. You can't be expecting people who are being conditioned to believe that Russia is an enemy to really feel sorry for a few victims of some blast in some subway far away. And secondly, people are becoming desensitized to terrorism- sadly, it happens so often now in Europe, that it no longer really shocks, not even when it happens in places like Germany or England. And when it happens in places like Turkey or Iraq or Afghanistan (on a nearly daily basis), we don't even notice. And when it happens in Russia- well, they probably deserved it anyway. I do not say this with sarcasm. I think it's a sad reality of today. Putin planted it! I wonder where he gets HIS news! Thank you for commenting! I wonder what role the media plays in our perception of tragedy. Right now I'm not even sure where to find coverage of Russia in English. On the Russian sites they are following up with the bomb victims and investigation. So of course no one is paying attention, because you can only find the stories if you are looking for them. However, as an American, I disagree that there is general hostility toward Russian people. I think that the hostility is toward the Russian government and not the people. I think Americans just have very little knowledge of life in Russia and many other countries, because the tragedies that happen here are not well-covered. Americans certainly grieved over Beslan. I have a brother who lives in Congo and I hardly see anything about their situation on the news either. I mean, in the main headlines. So, I know political relations with Russia are always strained, but I think the lack of press is more a question of journalism and selling stories. I think that people in general are desensitized toward violence, but I don't think it is something that changes much over time. There has always been violence in the world. It has always been terrible and caused reason for grieving, but life could not go on if we mourned every single tragedy. Interesting thought, though-maybe I'll use it for a post. Maybe as a Russian you are more sensitive to how people react. I forgot to reply to your comment about Putin organizing the attacks. Thank you for mentioning that example. I suppose it's like when non-Americans suggest that 9/11 or the Boston bombing was fake. It's offensive to suggest such things when people are mourning. I will try to remember that! Even though those thoughts go through our head. But I don't think Russia is in the spotlight the same way America is. I felt like when I moved to Russia that everyone was always paying attention to American politics, but you can ask Americans what they think of Russia, and many won't have an opinion at all, because they never really thought about it. I think the Cold War association is probably the strongest. But like I said before, I don't believe that the political rivalry reflects on how people react to the innocent suffering. But that's just my opinion. I suppose there is always someone who says they deserved it or it's God's judgment or something. In terms of violence, I used to watch a lot of murder mysteries, but I pretty much avoid it these days. But when I think back to the gladiators, I'm pretty sure people have always enjoyed that kind of entertainment.